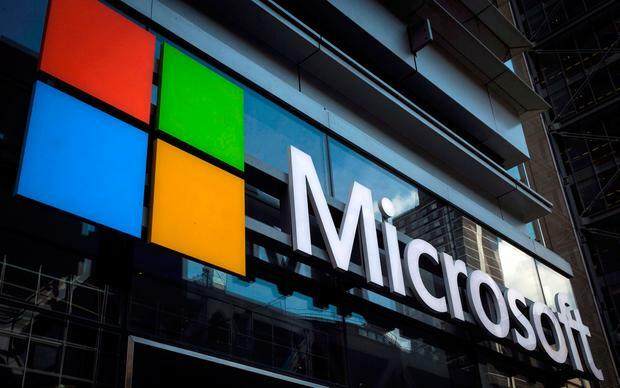 Tech giant Microsoft is being forced to build its own power station in Dublin to provide electricity to one of its huge data centres because the local transmission network hasn't been upgraded quickly enough to meet a surge in demand. EirGrid, the semi-State company that controls the country's electricity transmission network, has warned that more temporary power generation may be required in Dublin until a huge upgrade of the system in the capital is completed. Microsoft, co-founded by Bill Gates, intends to install 16 gas-powered generators at a site in Clondalkin, in the west of the capital. The power generation compound is designed to provide up to 18 megawatts of electricity to just one of its huge data centres at the site. Such electricity output would be enough to power the equivalent of about 18,000 homes. The Grange Castle Business Park in Clondalkin is already home to other data centres operated by Microsoft, and internet giant Google and other companies. The concentration of data centres there, and their relatively rapid deployment, has placed enormous strain on the local electricity network. The Electricity Supply Board said yesterday that one large data centre can consume as much electricity as a large regional town such as Drogheda and that the growth in electricity demand because of new and planned data centres is "unprecedented". Microsoft has four operational data centres in Grange Castle. Last year, it secured planning permission to build four more on the site that will probably cost in the region of €900m to build. EirGrid confirmed that the infrastructure in and around the Grange Castle Business Park is now struggling to meet the data centre power demand. "Space at Grange Castle Business Park is in high demand from international business customers," an EirGrid spokesman told the Irish Independent. "To accommodate this growth, further power is required to meet both current electricity needs and to plan for future electricity demand." He said that in the next few weeks, EirGrid is embarking on a major project to reinforce the electricity transmission system in the west of Dublin. Called the 'West Dublin Project', the scheme will see tens of millions of euro spent to construct a new substation to meet the energy demand from data centres in the area. But it won't be completed until 2019. "Given the lead times associated with transmission reinforcements, generation capacity or equivalent may need to be available in the Dublin region to accommodate this additional demand in the short term," added the EirGrid spokesman. A Microsoft spokesperson insisted that its new power compound would only provide temporary power to its data centre "if necessary". An ESB Networks spokesman pointed out there are currently five large substations in Dublin, and apart from the new Grange Castle substation, another new facility is being built at Belcamp, north of the city. Microsoft and other companies including Amazon, Google and Facebook have invested billions of euro in data centres here over the past number of years. But last year, the boss of Microsoft Ireland, Cathriona Hallahan, raised concerns with the Government regarding the security of energy supply in Ireland to facilitate the continued deployment of such facilities in the country. The data centre operations are used by Microsoft as cloud computing hubs. "A key driver for electricity demand in Ireland for the next number of years is the connection of large data centres," said the EirGrid spokesman. "A significant proportion of this extra data centre load will materialise in the Dublin region." Mike Brady The first lesson of agricultural economics is that farmers are price takers not price makers.